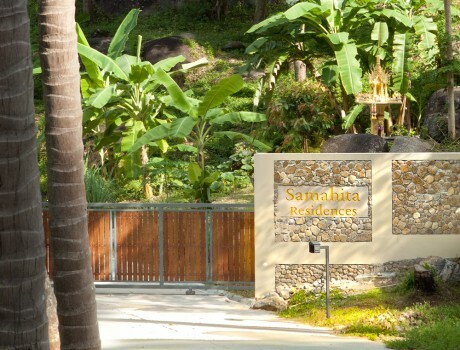 GOCO Hospitality and Samahita Yoga Thailand are working together to develop Samahita Residences, a wellness community on the lush tropical island of Koh Samui, Thailand. The project is focused on nature, healthy living, and environmental standards and will foster a small community of homeowners with a similar mindset. Paul Dallaghan, co-founder of Samahita Yoga Thailand is one of the final few to be certified by Sri K. Pattabhi Jois in Ashtanga vinyasa yoga. Paul is also a senior student of Sri O.P. Tiwari, one of the few remaining classical yogis and masters of Pranayama. He has practiced Pranayama under Tiwariji’s direct guidance since 2000 and is one of only two certified by Tiwari to teach the traditional and classical Pranayama. Samahita Residences is situated on land offering spectacular views of the sea, as well as the green abundance of the island’s rainforest and coconut plantations. The land itself is rich with greenery, magnificent boulders, and spectacular natural features. The entire property is surrounded by a 500-acre protected forest, which guarantees Samahita Residences privacy and exclusivity.